Dreamforce is a big event. Crazy big. Nearly 90,000 people came to San Francisco this week for the annual celebration of all things salesforce.com. The city shut down Howard Street between the north and south sides of the Moscone Center so that the company could pack in even more people. Salesforce did a slick job of turning a chunk of the city into a campus with Howard as its relaxing nexus. The street was laid with artificial turf, with bands jamming all day, and folks sitting on bean bags in the sun to watch keynotes on big screens, or just to chill out for a bit. I liked the casual, funky feel of it. There is more to life than software, and a nice touch was the Red Cross setup – a long table of essential items so attendees could walk the line and make a disaster readiness kit. I made one, of course. The Red Cross had lowered the barrier to participation so far that you could potentially save someone’s life just by throwing a few items in a bag. I am pretty sure when the show is finished Salesforce CEO and chief impresario Marc Benioff will be thinking that 100,000 attendees is the target for next year. The limiting factor for scale will surely be San Francisco’s capacity more than anything else. It’s easy to scoff at the obsession with size. Wouldn’t it be better to optimise for quality rather than quantity? Last year it seemed to me Benioff wanted to run a huge show primarily to have bragging rights over arch rivals Oracle, which first persuaded SF to close down Howard for its OpenWorld conference. But a conversation with Oren Teich from Heroku helped me see things differently. I had been a bit surprised a number of Salesforce competitors had lined up at Dreamforce 2011 to endorse the company’s Chatter platform. Oren smiled and explained that the Salesforce audience were effectively pre-qualified Cloud purchasers. With an audience that big, of course competitors wanted in, and were willing to pay for the privilege. Network scale is the charm, rather than size for its own sake. In the press and analyst Q&A this year Benioff made a very interesting point. At most vendor conferences, the PR or analyst relations people are determined to manage your schedule, to keep different groups separate, to prevent conversations that don’t fit a specific corporate agenda. Heaven forbid an analyst would hang out with a customer un-chaperoned. Benioff said Salesforce didn’t take that approach – people were free to come and go as they please, talk to anyone, poll a customer, even, he said, “run a focus group [with my customers] while you’re here”. You have to manage your own schedule at Dreamforce – nobody is going to tell you who to talk to and when. The approach is refreshing. Benioff basically invites you to enjoy SF, rather than just Dreamforce. Salesforce, then, is a very modern software company – and lives by many of the dictums that RedMonk recommends. The 20th century IT business was about creating barriers to entry for competitors, putting a fence around them, and locking them in with proprietary technology. The 21st century is about lowering barriers to participation and engagement, open networks encouraging scale and network effects – and multibillion dollar market caps. Salesforce of course has its own proprietary APEX language, for business logic in core applications, but a more important future is being enabled via its PaaS subsidiary Heroku, which is dramatically amping up its Java efforts. Heroku Enterprise for Java, announced this week, brings comprehensive support for Java 6,7, and 8 -with one click deploy to Tomcat, and tighter Eclipse IDE integration. With scale and network effects in mind some of most interesting news from the week was – introducing Salesforce Identity. 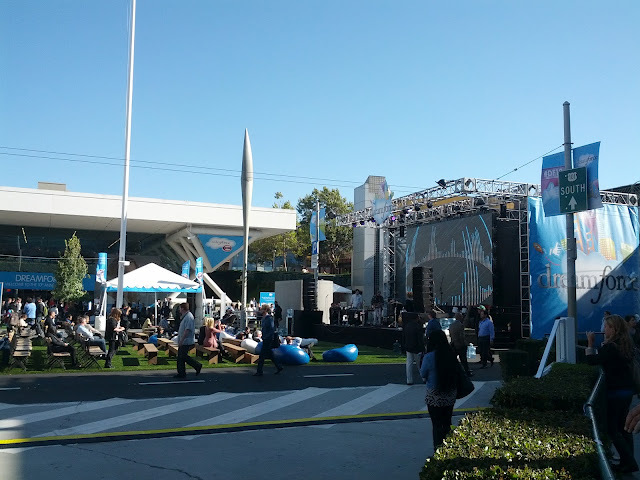 It’s a great report you did about Dreamforce ’12. How do you think Dreamforce ’13 will be? What do you expect for the next edition?